I redesigned The Hive website for the City of Gosnells for Media on Mars. 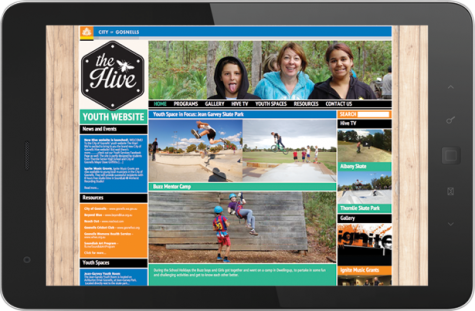 It’s a community website sharing programs, events, videos and resources for teenagers in the City of Gosnells area. We ran workshops with five Thornlie Highschool graphic design students and two staff members from the City of Gosnells. The students gave direction and feedback during the three workshops and were really impressed with the final result.